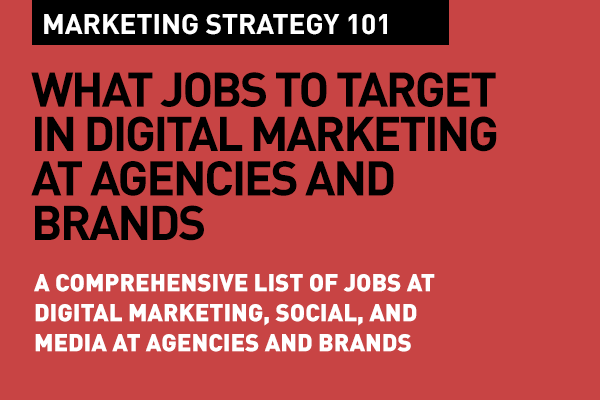 The number of job titles and descriptions at agencies that deliver digital marketing solutions is an ever increasing list. What are the roles involved and where do they fit in in the digital product cycle? Every day, in this connected age of marketing, we see new points of engagement come to the foreground, and naturally new positions are created, or current roles are customized to address the new areas of focus. I haven't even mentioned niche job titles like "Snapchat Content Strategist" or "Digital Culture Analyst" – those jobs are either super niche and fall into the "invented here" bracket, or are just ways of luring brands through the front door. If you're a brand looking for an agency and have really specific needs, you need to figure out if they are equipped to handle what you want, or are they just going to get someone within their staff to just try and "talk the walk". The roles above cover a wide spectrum – some are highly specialized roles needing unique skill sets – the others simply evolve from current roles and job descriptions. Either way, that's how agencies and brands today are defining and rising to the needs of digital marketing. 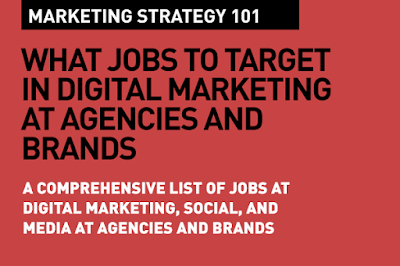 And just knowing about these roles is basic knowledge – its Digital Marketing Strategies 101. Please add your comment if I have missed a role or job title that you feel should be included in this list. Here are some current openings across the region at the group of agencies where I work. A lot of these job openings are for digital roles. • Intent is the new black in digital marketing. In-the-moment marketing is what's hot. • Data made simple: What is first, second and third party data? there have very authentic and most essential article about Digital Marketing Strategy 101. thanks for share this useful post. Now A days Text Messages are The Most power able resource to get Customers. Marketing92 is here to help you up with that. we Provide Quality Services of Branded SMS in Lahore and Branded SMS in Karachi and all over Pakistan. HostOnePk is the most emerging web hosting company in Pakistan providing the most advance and cheap Web Hosting across the country. Our services is the most reliable and trustful in Pakistan, We provide the quality results for our customers, because satisfying our customers demand is always our paramount target. Nice post..very amazing information...Thanks for sharing. The information you have deliver here is really useful to make my knowledge good. Thanks for your heavenly post. It is trulysupportive for us and I have accumulated some essential data from this blog. SIT Hub provides you the best Digital Marketing course in nawada which will upgrade you knowledge. Great and informative blog, it is very helpful information for me, thank you for sharing, keep update. I will target Marketing Consultant that knows about digital marketing advertising and helps the client to generate sales.